ThermaLast Bags compliment our collapsible coolers, creating a reliable and affordable solution using the latest in cold chain shipping technology. You can extend your shipping window by 25% or more over an EPS container alone, without decreasing your packing space or increasing your dimensional weight with thicker foam or additional coolant. Calculate your savings today in reduced storage, shipping and coolant costs! 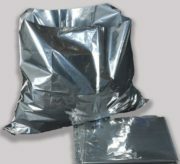 We offer Thermalast Bags by the case (or individually when purchased in conjunction with a cooler system/order).